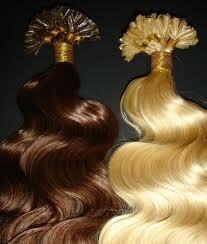 Pre bonded hair extensions come with a number of varieties, lengths and colours. It is simply applied and assures you the safety of your hair. After application, if you decide to continue without them, you can remove them very easily. Pre bonded hair extension is an advanced solution for people who want to add some volume or length to their own hair apart from looking unnatural. It is exactly what everyone needs to have. 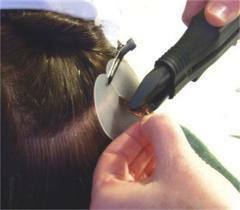 There are many other pros of pre bonded extensions, including the time-span of quality look they provide. Moreover they are not perpetual, rather temporary making it easier to give oneself a changed and versatile look more often. Best quality pre bonded extensions are also cut and looked after just as it was personal or natural and real hair. To ensure unequaled qualities of pre bonded hair extensions they are made with 100% human hair collected from reliable resources. Basically, there are two kinds of pre bonded extensions available on market; one is soft bond and the other is hard bond. As for soft bond, it is easy going and convenient to put them on. They are made of silicon, latexes and acrylics so they are very much soft to touch. As for the hard bond, it lasts for a longer period of time, however hard bonded extensions are not as much comfortable as soft bonded hair extensions. In hard bonded extensions, the adhesive that is used in it is different, and it is a kind of super glue and takes long to break up.